Another Hoffman bred female that can play on the first team anywhere. A daughter of CL 1 DOMINO 955W and the great cow from Wards, NJW 78P 63N Ladysport 51W ET. She is deep bodied and level through the top and hip, sound on her feet and legs and extremely attractive through her front one third. A very high quality female with full pigment! Maternal brothers to 4211 were lead bulls in Hoffman’s NWSS Champion Carload in 2015. 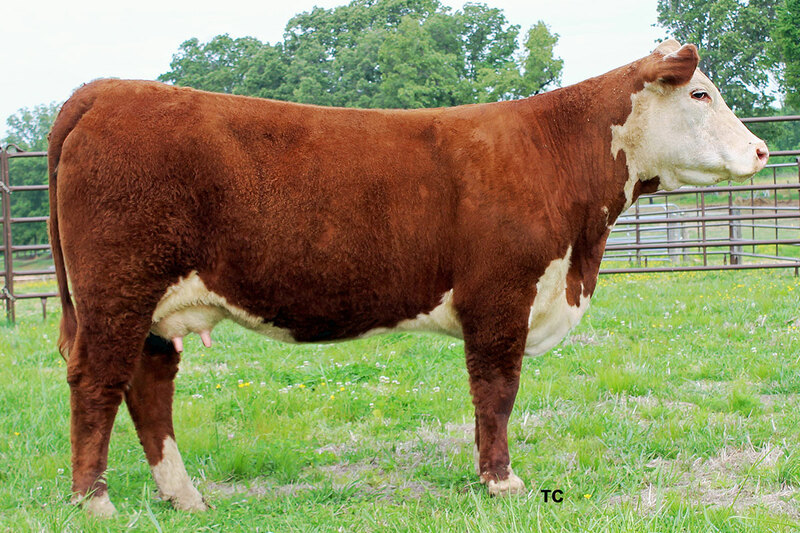 Her first calf, a heifer by SHF Access Y90 A 216 was selected as Grand Champion Hereford Heifer at the 2017 Mississippi State Fair. We are looking forward to some exciting times with her! Owned with James & Linda Sholar, Stillwater, OK.